It's National Barbecue Month, the time to celebrate flame-grilled foods and the great outdoors. Whether you enjoy backyard burgers with family and friends or you're a vegetarian with a penchant for travel, there are so many ways to celebrate this month that fit your unique culinary style and tastes. 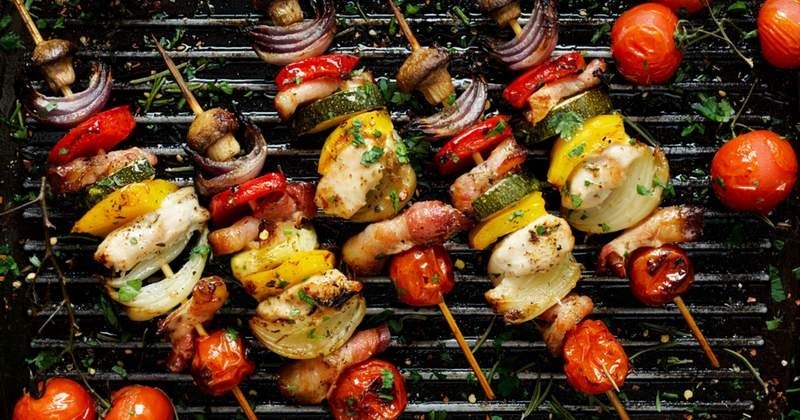 Here's some grilling inspiration for your family meals, social gatherings and adventures with nature. For the entertainer: Throw a backyard barbecue bash with friends and neighbors and prepare all the favorites: burgers, ribs, corn on the cob, watermelon and more. You can even ramp it up with a smoker or pizza grill. Just make sure you test your new tools out before the big day, and be sure to have enough charcoal or propane on hand. For the nature lover: Take your celebration on the road, and head to the beach or a campsite to enjoy your meals with nature. Bring along a portable grill, ingredients for s'mores, comfy chairs and your favorite sleeping bag to celebrate under the stars. As long as you've got great food and great company, you can't go wrong celebrating May with meals prepared on a grill.